After returning to the United States, Nelson worked as an associate editor at Architecture Forum and Fortune while starting his own architecture firm in New York with William Hamby. The firm closed with the United States’ entry into World War II, and Nelson continued writing and began teaching architecture at Columbia University. His writing brought him to the attention of D.J. De Pree, president of Herman Miller. Nelson designed his first collection for the company in 1945 and was named design director in 1947. As design director, Nelson recruited designers including Charles and Ray Eames, Alexander Girard and Isamu Noguchi to work with Herman Miller. Through his own firm, George Nelson & Associates (also known as George Nelson, and George Nelson and Company) he employed an impressive roster of designers including Irving Harper, Michael Graves and Ettore Sottsass working on projects ranging from kitchens to record players, tiles to company logos. 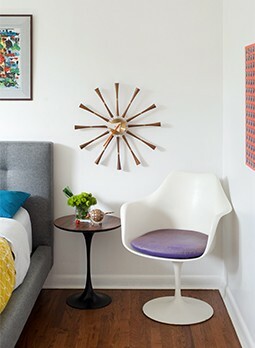 Under his direction iconic pieces including the marshmallow sofa (which was designed by Harper) were created. 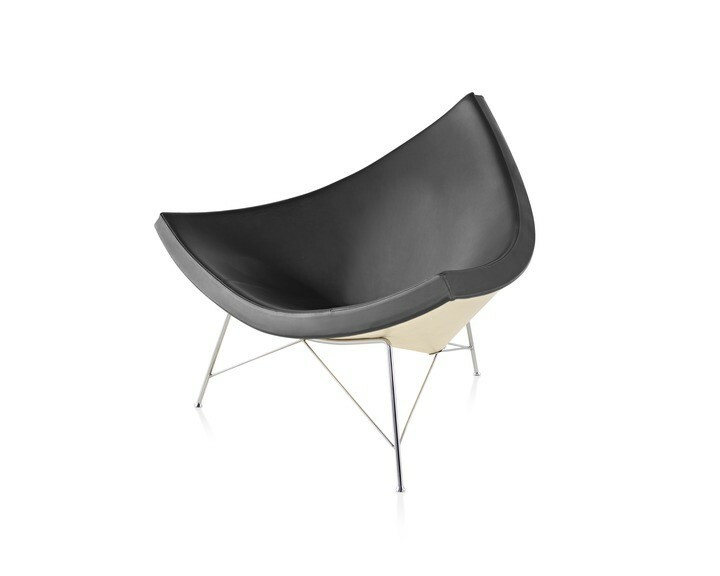 The coconut lounge chair, designed by George Nelson & Associates and produced by Herman Miller. Nelson also wrote a series of influential design articles and books. In the 1942 Saturday Evening Post article “Grass on Main Street,” he introduced the concept of pedestrian malls. In the 1945 book Tomorrow’s House (authored with Henry Wright), Nelson introduced the family room. “The thing that makes design so interesting is that the factors in its creation are so inconsistently and wonderfully human,” he wrote in the 1953 book Living Spaces. Nelson chaired the Aspen design conference, was an advisor to the school of fine arts at the University of Georgia, design consultant to General Electric, and a consultant and exhibition designer for the U.S. government. His government work included serving as lead designer of the American National Exhibition in Moscow, site of the famous “Kitchen Debate” between Vice President Richard Nixon and Soviet Premier Nikita Khrushchev. 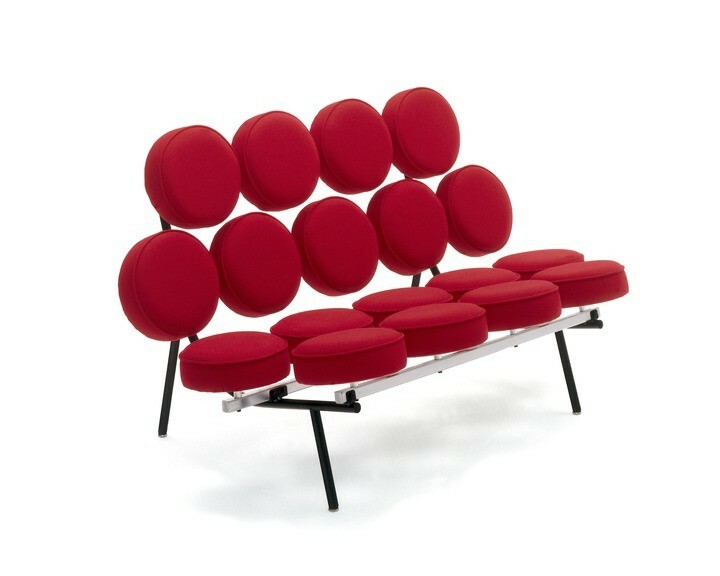 The marshmallow sofa, designed by George Nelson & Associates designer Irving Harper and produced by Herman Miller. Nelson operated his design firm into the 1970s, where his innovations continued in home and office design. He died in 1986. His estate is kept by the Vitra Design Museum in Germany and his legacy is promoted by the George Nelson Foundation.